Please fill out this form completely. Thank you so much! 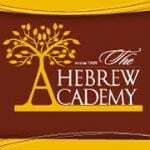 Thank you very much for your payment and support of the Hebrew Academy. We appreciate your participation and support very much!